Looking for a quick, easy way to attach the Featherweight to your airframe? Check out the Conformal Mounting System! Every Featherweight is shipped in a heavy-duty cardboard mailer with custom plastic fixtures that can be re-used for storage and transport. Built from strong, lightweight carbon fiber with just the right amount of aluminum and ABS plastic, the Featherweight will survive the challenges of flight test. The Featherweight boom includes an integrated, battery-powered air data computer with a low-power 2.4GHz wireless transmitter that transmits data from the boom to a nearby laptop (with the included AirDAQ USB) or to a BoxDAQ, meaning there's no need to run wires down the wing to the boom. There's also no need to install an expensive and heavy DAS chassis in the test vehicle. Every Featherweight boom includes an AirDAQ USB - a tiny USB dongle that can be plugged into any laptop to create a flexible, interactive datalogging solution. The dongle enumerates as a virtual com port, so data can be read using a simple Python, C, or MATLAB script. The provided examples get you up and running in a hurry. The BoxDAQ, our GPS/INS datalogger, includes an AirDAQ receiver and will seamless record data from a Featherweight air data boom with no additional configuration required. In addition to air data parameters, the acro-tested BoxDAQ will also provide lat/lon/alt and roll/pitch/heading information at 50 Hz. The AirDAQ system has a range of approximately 500 ft., so testing can be performed with a laptop and FTE in a chase aircraft. 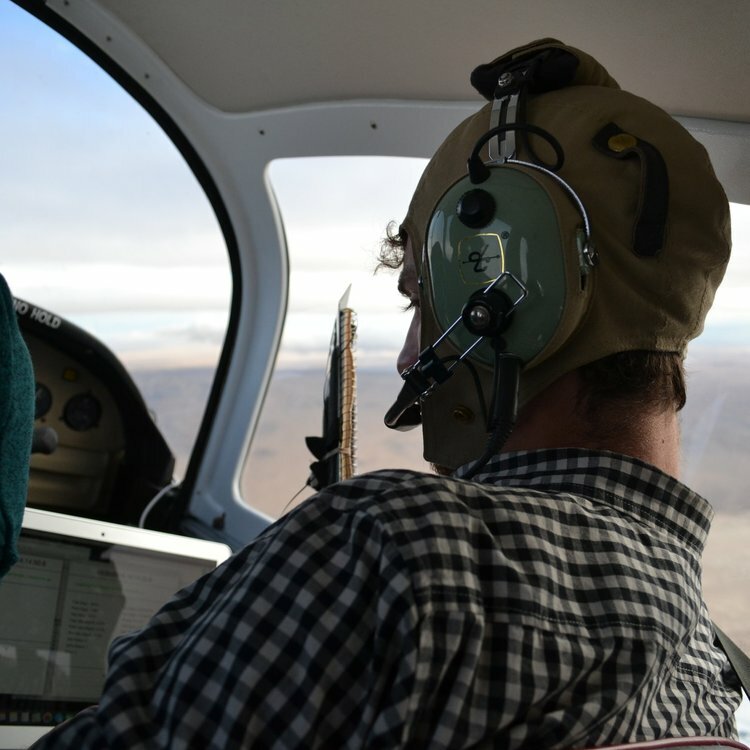 This revolutionary feature allows viewing data from single-pilot aircraft real-time without the need for an expensive telemetry system, and can add a whole new dimension of intel to single-pilot testing. The conformal mount kit (seen above, sold separately) provides a quick and easy way to attach the Featherweight Air Data Boom to nearly any airframe. Our wireless AirDAQ system means no wires to run down the wing and into the fuselage, and the system is easily removable, making temporary installations for short-term flight tests a snap. Easy to use - no setup required! The AirDAQ system works seamlessly to start acquiring data the instant the system is powered up. No IP configuration, no settings to adjust, and no hassle. Our proprietary 2.4GHz wireless protocol just works, right out of the box. The AirDAQ USB reports human-readable ASCII data over a virtual COM port, so custom data acquisition software is easily written in Python or MATLAB. A simple single-file executable is included for simple applications, providing everything you need at the click of a mouse. Log data to a .csv file for later analysis in Excel, MATLAB, etc.